You enter a dark room. You are greeted and given two candles, a big one and a small. You light the bigger one. You are asked to take a seat in the circle. Speaking Into Silence is a mediation/conversation-ritual in which participants can talk about personal or non-personal topics in a closed forum until now further talking is required. The session creates a concentrated and relaxed atmosphere that allows everybody to articulate their own feelings and thoughts without pressure. Furthermore, it aims to connect people and establish a form of community. Sessions can be repeated with the same or with fluctuant participants. 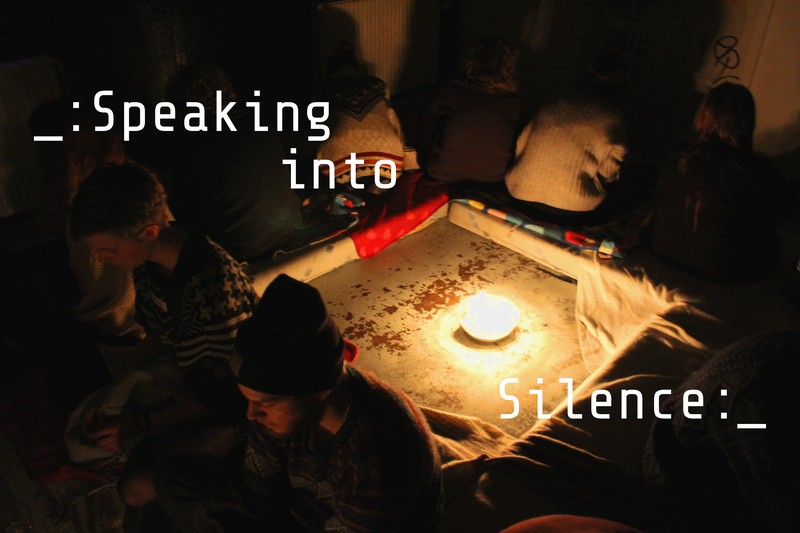 I have written a short article on how and why Speaking Into Silence came to be. Find the article below in the details.